It’s never easy for an artist to extend their early successes. Becoming a sudden sensation has its advantages, of course, leapfrogging as you do over the competition and gain the attention of the masses. Yet, it also manifests often undue expectations and scrutiny over every last step you make in the future, setting a high bar that can be difficult to ascend later on. It’s an intimidating tightrope walk, which is the main reason why any artist that garners that sort of acclaim needs to have resources in reserve to stay in the good graces of the music-streaming/ticket-buying public well into the future. Mumford & Sons is a pretty obvious example. They burst into the world about a decade ago, the supposed advancing army for a new generation of folk/Americana artists. The U.K. group has crossed the Rubicon and want to do everything in their powers to stay there. “How do I presume when there’s so much at stake,” they coo harmoniously on “42,” the opening track of their new opus Delta. It’s a song that sounds like a prayer to the heavens, sung with anthemic resolve, some hope and perhaps even a wee bit of trepidation. “I need some guiding light,” they continue before kicking in with a billowing refrain. Of course, any presumption that they’re seeking inspiration or attempting to reconcile a supposed divide between adulation and accomplishment is purely speculation. 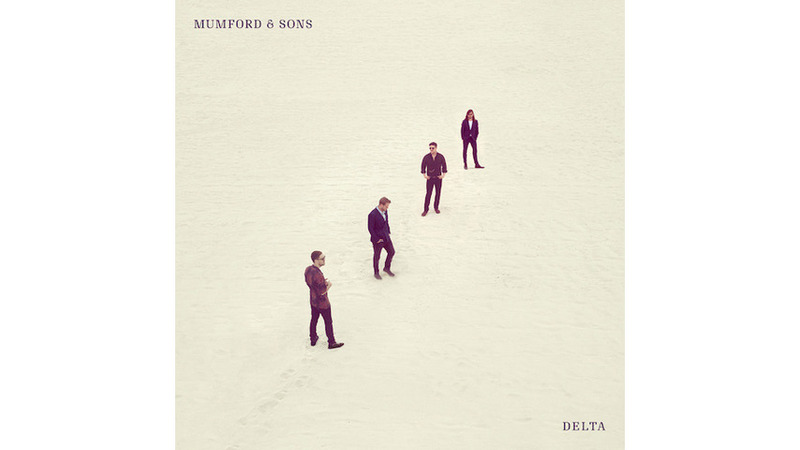 All three albums released so far, beginning with their auspicious debut Sigh No More, and continuing through its successor, Babel and Wilder Mind have been marked by the desire to weigh in with high minded platitudes and evoke inspiration in their wake. Never mind the fact that Babel reaped a Grammy for Album of the Year and Wilder Mind debuted at #1. Their follow-ups had to be considered carefully. The fact that the band took a full three years to release their new album might suggest that indeed they were plotting the path forward with care and consideration. To their credit, Mumford and Son resisted the temptation to upend their sound for more commercial ends, with an album of carefully chosen material and plumbing even deeper declinations for lyrical insight. It’s a strategy that pays off; along with increasing anticipation, it results in a better set of songs overall. There’s little shift in style to be sure—the darker, denser experimental tone of “Darkness Visible” being the most notable exception—but these offerings resonate regardless. “Guiding Light,” “Beloved,” “October Skies,” and hell, most everything else saved the subdued twosome “Wild Heart” and “Forever” soar like cinematic soundscapes. The arched arrangements and orchestral embellishment offer the impression that indeed the drama is real, and any sense of yearning is not only palpable, but precise as well. Ultimately, these stadium-sized shout-outs bode well for Mumford and Sons’ future. There’s something to be said for invoking majesty in music and offering the impression that it’s worth leaning to extract some larger meaning. Whether there are lessons to be found is strictly a matter of interpretation. Any album this epic in scope is, at very least, worthy of their reputation.